Summer is supposed to be a time of long, lazy days on the beach, in a hammock, or, as we say in Michigan, “Up North.” Lots of fresh tomatoes, rose wine, and trashy novels. Well, except for the wine, I’m not getting much of that idyllic summer, but I am getting in lots of reading. Tons of new books – mysteries, thrillers, noir… they’re mine for the taking. I’m not going to review all of them, or there wouldn’t be time to read more. I’ll just review a few of the books I have particularly enjoyed. First up is a thriller, The Last One, by Alexandra Oliva. This is Oliva’s debut novel, and a crackling good one it is. The setting is very up-to-the-minute: a Survivor-esque reality show called In the Dark. But with this show, the only way to get off is to use the magic words (“ad tenebras dedi,” Latin for “I surrender to the dark”) and the only way to win is to be the last one left. The prize is huge. As the contestants delve deeper into this alternate world, a plague strikes the real world … and they don’t know. Oliva switches back and forth from a omniscient perspective to the POV of one of the contestants, a determined young woman. The twelve characters are named according to their stereotype in the third person chapters. Black Doctor is a male, African-American physician. Rancher is a western type, Waitress is a hot mess, Cheerleader Boy is a relentless cheerful gay, Biology a lesbian who teaches seventh grade science, Air Force a compactly powerful military man, Engineer a Chinese-American man, Tracker a hunter type, Banker a business man. The young man called Exorcist may be certifiably crazy. Asian Chick morphs into Carpenter Chick when its discovered she has skills. And then there’s Zoo – our protagonist, young, blonde, and female. She works in a wildlife sanctuary. The host of the show is a “B-list celebrity” who hopes to revive his career. (I pictured Ryan Seacrest.) We see the production, the manipulation, the editing that heightens the drama. We also see the human side of the contestants that the camera doesn’t capture. Zoo’s chapters are something else. She’s stranded in the wilderness, following clues that she interprets according to the rules of the game, making her way back to civilization, scavenging for food, catching and cooking squirrels, and all the while convinced that secret cameras are recording her every move. The reader knows what she doesn’t know and then can’t admit… that life as she knew it is over, there will be no million dollar prize, and in fact, she will be lucky to make it through her adventure alive. The Last One is a great summer (or anytime!) read. The plot is compelling and moves along at a breakneck pace. The writing is crisp, dialogue true, and characters – especially Zoo – interesting. There’s a heartbreaking side to her adventure which I won’t spoil for you, and also a possibility of hope. I wouldn’t be surprised to see the book up for an Edgar for Best First Novel in 2017. I’ll definitely be on the lookout for Alexandra Oliva’s next book! 657 pages. That’s how long the The Truth About the Harry Quebert Affair is. And on the Kindle – when you can’t see the page numbers but only see the progress towards 100% – those pages are interminable. 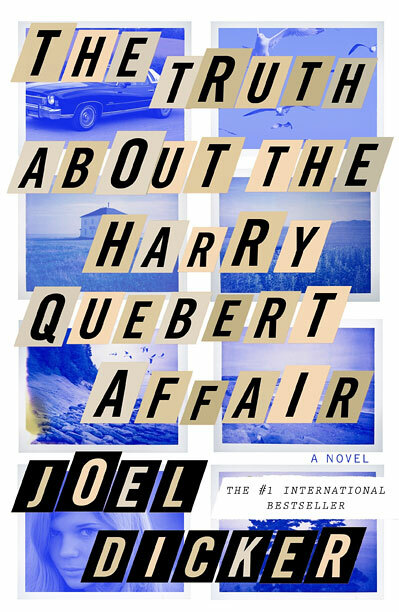 The book’s the story of Marcus Goldman, a young, highly acclaimed debut author who can’t summon the creative juices for book #2, but is suddenly offered the opportunity to deliver a roman a clef – or perhaps a juicy true crime book, it’s hard to tell – about his mentor, the famous Harry Quebert. 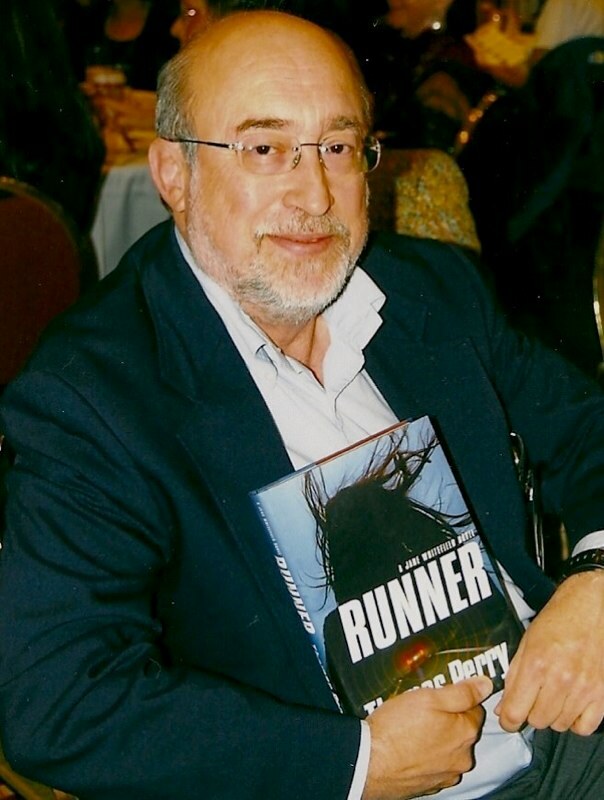 Harry is ALSO an amazingly successful writer, who penned a novel based on his doomed romance with 15-year-old Nola Kellergan. Said romance occurring when Harry was 34. Nola disappeared back in the day, and her body was just unearthed, 33 years later… in Harry’s back yard. Who killed her? And what the heck will protege Marcus do? $3 million is a lot of dough. Here’s what the book has: over the top, breathless prose. 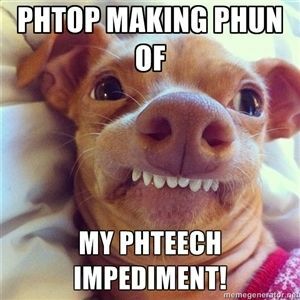 Characters who all sound exactly alike, except for the guy who got beaten to within an inch of his life, so he sounds like Phteven. Labyrinthine jumps in time from today to the mid-70s and back. And so many “whodunnit” twists that make The Killing look reasonable. (My husband gave up on that show half-way through because it was like whack-a-mole: every character was under serious suspicion at one point or another.) And a groan-out-loud ending. On the good side, it does have a strong voice and kept me turning the pages (metaphorically speaking) just to get to the end. But here’s the question: Why the heck is this book getting so much hype and so many reviews? The column inches devoted to book reviews in the press is low. Very low. Not many books get reviewed. And yet, the New York Times gives Harry a lot of space and is generally positive, depending on how seriously you interpret the adjectives. The Independent (UK) says it’s seductive. NPR calls it chilling, but cautions that the writing is not so good. Both Entertainment Weekly and the Washington Post basically say what I’m saying – some good stuff there but nothing to write home about. And on Amazon, readers average out at 3 stars – as of today, 94 give it just 1 star and 123 are giving it 5 stars. My recommendation: Unless you’re a speed reader, read something else. 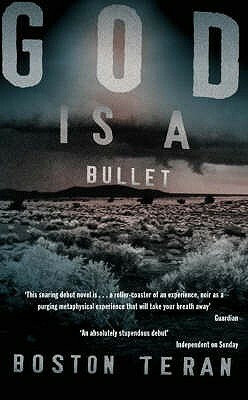 Why is God is a Bullet set in 1995? Historical fiction? Perhaps author Boston Teran wanted to avoid the Internet or omnipresent cell phones. I might not have noticed the year, but Teran makes a point of telling us the make, model, and year of various cars being driven by various characters, so either they were all driving really old cars, or the action takes place in the past. But no. After the utterly satisfying conclusion of God is a Bullet, I finally looked at the copyright date. Dang it, 1999. Now it all made sense. Charming husband had passed the book on to me with a strong recommendation, and I had simply assumed it was a new release. The good news: The book is a thrill ride, the characters are iconic, and Boston Teran’s written several books since God is a Bullet. Hooray! Here’s the premise: A 14-year-old girl is kidnapped and her mother and stepfather murdered by a hired killer who’s much more than a hit man, he’s a charismatic, sociopathic father figure to a cult of young people. The girl’s father, Bob Hightower, is a cop. He begins investigating, desperate to find her, when a young woman comes forward. Fresh out of rehab, Case Hardin has recognized the m.o. Cop and former junkie team up. The road they take is twisty and full of danger. Clean-cut Bob gets tattooed and goes undercover with Case, each step bringing them closer to the girl. It’s harsh in its realism – the daughter has become an addict against her will and is being raped daily, other characters are tortured or killed – but not ugly. Case is smart but not Lisbeth Salander-smart, and the two make mistakes. One mistake Teran doesn’t make is to force an obligatory romance between Hightower and Case. Close as they become, no sparks fly. Especially rewarding: Ultimately, it’s folks that Bob Hightower has known and trusted for many years that are to blame for his daughter’s plight. You might say that people are complicated. But as my Dad sometimes jokes, “People are no damn good.” Luckily for Bob and his daughter, Case Hardin’s the exception that proves the rule. Derek B. Miller’s Norwegian by Night is an amazing debut novel. It features 82-year old Sheldon (Donny) Horowitz, an American Jew, widower and former Marine, full of regrets and descending into dementia… but slowly. He’s in Oslo, Norway, having been lured there by his grand-daughter, Rhea, and her Norwegian husband, Lars. Rhea is the posthumous daughter of Sheldon’s son, Saul. Sheldon blames himself for Saul’s death. Saul enlisted during the Viet Nam war to live up to Sheldon’s patriotism, came home after his first tour of duty, hoping to talk to his father about his experience – something that was beyond Sheldon’s capabilities. Rebuffed, he had a one-night-stand with an unsuitable girl and re-enlisted, only to be killed a short time later. Unsuitable girl became reluctant mother, Sheldon and his wife became parents again to baby Rhea, but Sheldon never forgave himself. A complicated man, a man of honor and of action, a man who feels he was responsible for many deaths, not just his son’s, Horowitz steps up to save a small boy from his violent father. They hide together in a closet, forced to listen silently as the father – a Balkan war criminal – murders the boy’s mother. In seizing that moment, Horowitz’s journey to redemption has begun. The two go on the run together, the boy and the old man, each unable to speak the other’s language. Sheldon’s goal: to take Paul to the family’s cabin in the woods and keep him safe. His fear: that the authorities will turn the boy over to his father. He leaves a nonsensical note for his daughter. Sheldon proves himself to be remarkably capable and canny, despite his advanced years and his tendency to see and hear people who aren’t really there. He calls the boy Paul, and dresses him as a Viking Jew, complete with Viking helmet, tunic, and a sword that strongly resembles a wooden kitchen spoon. The trip to the cabin is event-filled, the final scenes are nail-biters, and the ending is completely satisfying. Norwegian by Night is beautifully written, filled with suspense, and surprisingly action-packed. I’d call it a literary thriller, except I’m afraid that people who buy “literature with a capital L” would dismiss it and people who love thrillers will expect it to be too highbrow. Instead, it’s the best of both. 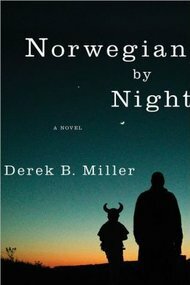 Norwegian by Night is not to be missed, and I’m looking forward to more from Derek B. Miller. Back from the Caribbean with a new author! 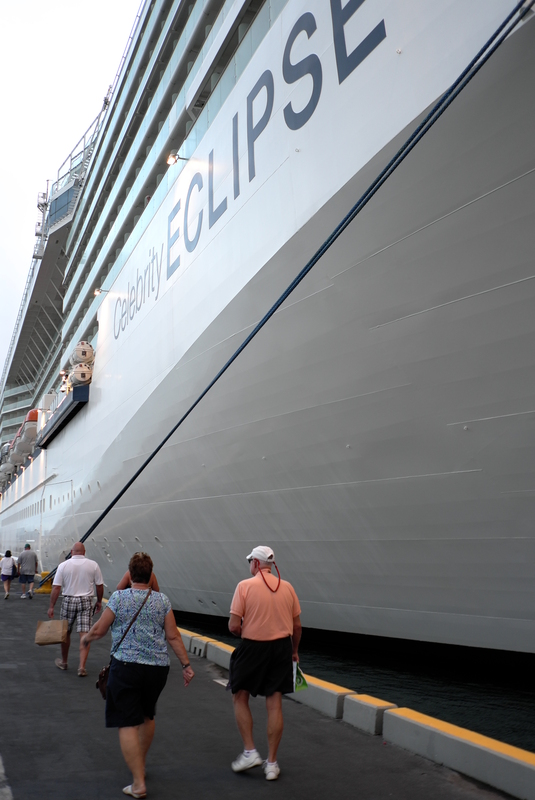 Darling husband and I are back from our trip to Puerto Rico, Saint Thomas, St. Martin, and St. Kitts via the Celebrity Eclipse. Besides the rain forest hike and the free-lattes-at-any-time extravaganza, a highlight of the trip was the amazing amount of free time to read. I brought a few paperbacks and a dozen books on my iPad. One new-to-me author that I highly recommend, cruise or not, is Michael Robotham. 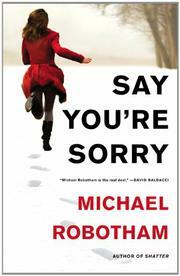 I started my read-fest with Robotham’s most recent book, Say You’re Sorry. It features a wonderfully insightful but thoroughly flawed protagonist, clinical psychologist Joe O’Loughlin. Joe has a complicated life, a stressed marriage to a beautiful woman, a shakier-than-he’d-like relationship with his teenage daughter, and an uncanny ability to size people up. He also has Parkinson’s disease. O’Loughlin is pulled into a confusing crime scene by a police detective who is looking for one more nail to put into the supposed-prepetrator’s coffin: a married couple has been brutally murdered and a mentally challenged handyman is accused. But O’Loughlin sees what the police don’t: there was someone else there – someone who is now missing – and the scene points to a very twisted, and highly intelligent, murderer. Complicating the plot is a second protagonist: Piper Hadley. Teenage Piper and her best friend, Natasha McBain, were kidnapped and held captive by a man they call George, who systematically strips away the girls’ defenses and sexually abuses the more attractive, more feminine Tash. Piper tells her own story, and Robotham’s evocation of this singular character is simply amazing. It’s not surprising that the two stories come together and – no spoiler alert here – that the handyman is not the bad guy. Say You’re Sorry is a complete page-turner – awesome plotting and pacing – coupled with compelling characters. It left me wanting more. So I used a few of my preciously guarded wi-fi minutes to download more Michael Robotham. It was all good. Suspect. Lost. Shatter. Bleed for Me and a couple more, yet unread. In Suspect, Joe O’Loughlin is introduced when homicide detective Victor Ruiz suspects him of murder. In Lost, Ruiz is fished out of the Thames – short-term memory loss means he has to piece together the last few weeks of his life (with the help of O’Loughlin, of course). Shatter features a worthy adversary – just as capable as O’Loughlin of seeing hidden truths, but much more capable when it comes to manipulating others. For evil, of course. I’m continuing to work my way through Michael Robotham’s books. Love psychological suspense? 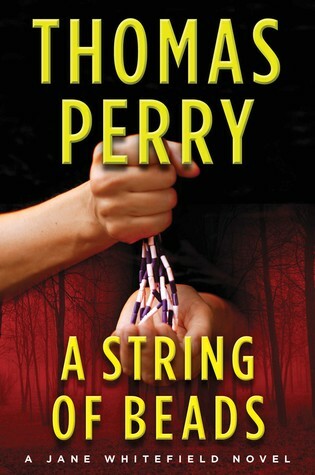 Thrillers with a twist? You’ll go for Robotham. I have a very low threshold for “Oh, come on now.” That’s when the plot in a thriller is so over the top that it loses me. Meg Gardiner‘s that way for me – the plot ratchets up so relentlessly with every chapter that it goes past the believable into the formulaic. I even had the same problem with Linwood Barclay’s Never Look Away, where the protagonist’s wife goes missing at an amusement park and he’s super-frantic even though it turns out she’s not a victim. 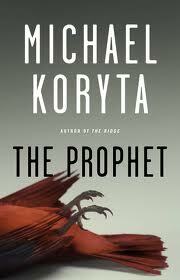 But Michael Koryta‘s The Prophet is a thriller that really delivers with no nagging “yeah, right” reaction. Maybe that’s because he’s a former newspaper reporter and private investigator. Here’s the premise: Adam Austin and his brother Kent aren’t close. They had different reactions to the murder of their sister, Marie, over 20 years ago. Kent was able to put Marie’s murder behind him through the strength of his faith, and is now the beloved high school football coach. Austin’s stuck. He’s the local bail bondsman and occasional investigator, still lives in the family home, keeping Marie’s room just as it was the day she died. His guilt: he ditched his sister the night she was killed, driving right by her to go parking with his high school girlfriend. Now, another teenage girl has been killed: Rachel Bond, the high school quarterback’s girlfriend. Once again, Adam’s at fault. He helped her locate an address, she went there alone and was killed there. But we soon find that it’s not Adam that’s being targeted, but his brother. The reason? His prison ministry. A psychopath thought it would be a fun challenge to make him lose his faith in God. The estranged brothers must work together to defeat this powerful antagonist. Koryta’s book is a well-written and well-plotted page-turner. The story builds to a thrilling climax that’s 100% believable. That The Prophet also features real characters, not cardboard cutouts, who make mistakes, learn and grow over the course of the 400 pages, makes it a must-read.